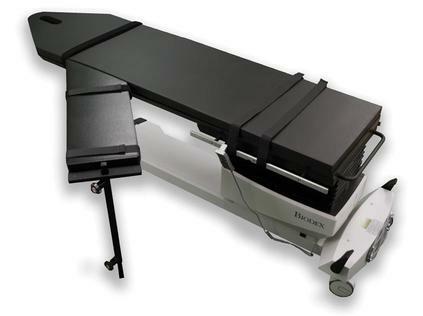 Carbon Fiber Surgical Arm Board, completely radiolucent. 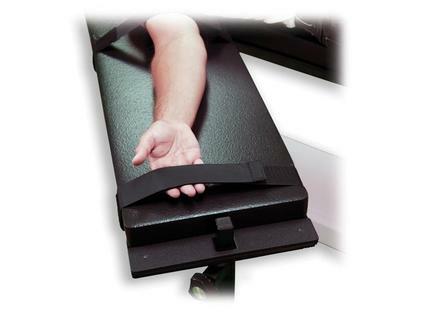 Completely radiolucent, the Carbon Fiber Surgical Arm Board allows for C-Arm visualization of the entire arm and into the shoulder. With a wide surface and 2" thick padding, the carbon fiber arm board is designed on an angle to provide more natural positioning. It has a support leg that can be adjusted within the same height range as our tables. The carbon fiber is .125" thick and is overlapped instead of woven to minimize attenuation during the imaging process.